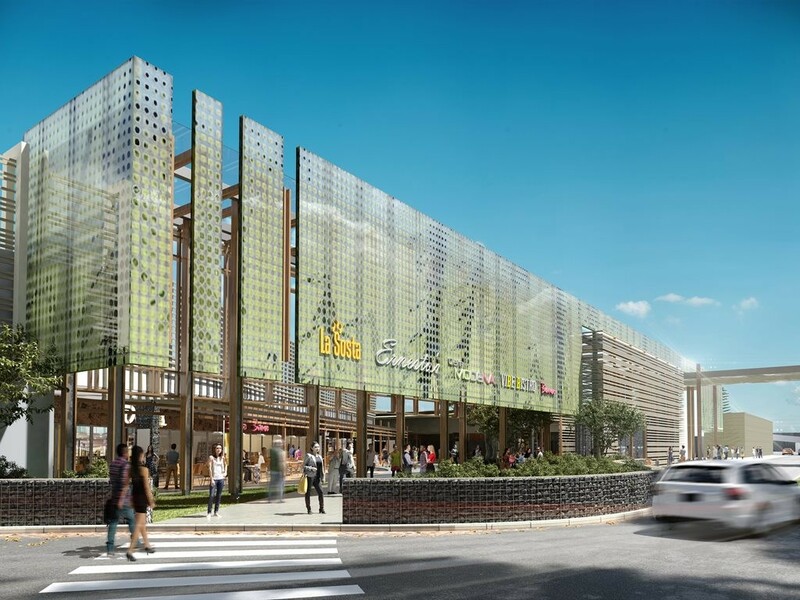 Benoy has announced details of its first live projects in Australia, the large scale UK-based global architecture practice appointed to help redesign two major regional retail centres in Western Australia. The firm of architects, masterplanners, interior and graphic designers officially launched in Australia in July this year, opening a liaison office in Melbourne in response to a number of successful project bids within the country. In Perth, Benoy have now announced the team has been appointed as Design Consultant for the Galleria Shopping Centre redevelopment, while in Western Australia's second largest city, Mandurah, the practice will be working with local practice and project architect Hames Sharley on that region's own major mall redevelopment. Global Commercial Director at Benoy,Tom Cartledge, said the appointments with Australian developer Federation Centres reflect Benoy's reputation in the international retail sector "and what we, as a design firm, can bring to the Australian market". "Entering Australia is a milestone for Benoy and we are incredibly excited to now confirm the details of our first projects in the country," Cartledge said. Benoy will be leading the Interior Design Concept on the redevelopment and extension of Mandurah Forum, collaborating with local practice and project architect Hames Sharley. Benoy is delivering design expertise to the malls and public areas. The concept design draws inspiration from the geography of the surrounding Mandurah area and the relaxed coastal lifestyle; celebrating the city's location with the seaside to the West and hills to the East. The concept will help to create a different character for each of the zones and provide a balanced retail experience for the development as a whole. Benoy Director Robert Bishop said retail centres are becoming increasingly "leisure orientated with an emphasis on Food and Beverage, fresh markets and spaces for 'Pop-up' and independent retailers". "The new Mandurah Forum will accommodate these activities in an attractive and partially externalised environment," he said. Working with Australian developer Federation Centres redevelop and expand the Galleria Shopping Centre situated close to the heart of the city, Benoy’s brief is to reposition it as a state-of-the-art retail and leisure destination. Benoy Director Jacqueline Beckingham said the firm brings much experience working around the world with clients in renewing their assets as an alternative to building new. "As we help these centres reach their full potential, our goal is to make their visitors fall in love, or back in love, with them as destinations. From the small scale enhancements to the comprehensive overhauls, we look forward to delivering these reinvigorated retail environments in Australia to delight and surprise the catchments of these two developments," concluded Jacqueline. Working within an open network of global studios, the Benoy Teams undertaking the projects in Australia are located in the firm's London and Newark Studios. The design teams are supported by Benoy's on-the-ground presence in Melbourne. Benoy is now actively pursuing opportunities across Australia.